Uncategorised Who killed Leicestershire’s most famous son? Leicestershire’s most famous son Action Man was killed by the figures from Star Wars. Have you got that visual in your head? Good, because this is a true story. Today, on Action Man’s 50th birthday, we lift the lid on what happened to the Leicestershire boy toy who revolutionised playtime. Action Man, with his mean scar and fuzzy hair, was a soldier. He came from Coalville, an old mining town in the county’s north west. The coincidence? So did his killers. Action Man came off the production line in 1966. Hey presto – Britain had a doll for boys. Action Man had been modelled on the American military doll GI Joe. Yet despite years of training, deep sea diving, living in the Antarctic, or the jungle, none of it would count a fig against the combined forces of The Rebellion and The Empire. 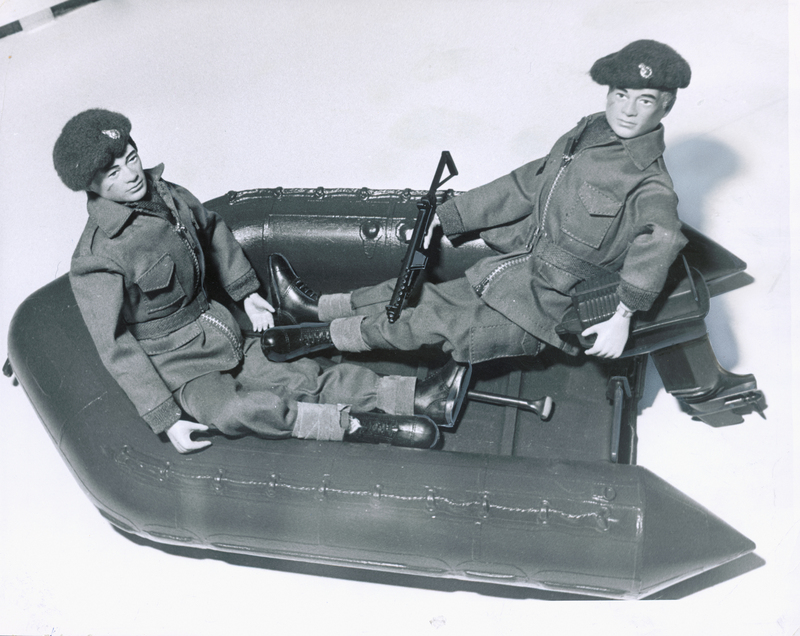 Palitoy had unveiled Action Man on January 29, 1966, to traders at The British Toy Fair. Action Man was the toy every boy wanted to play with and in ’66 the Toy of the Year crown fell to him. Action Man had been out a year when Bob Brechin, then 23, joined Palitoy’s design department on July 1, 1967. By 1979, eight million Action Man figures were in circulation. Eight million. Before Bob, however, Action Man was a frustrating contradiction. Leicestershire’s most famous son was a cack-handed embarrassment. He could give you a bit of a slap, but he couldn’t even hold a rifle. His hands couldn’t grip. They were like little pink spades. This situation came to a head when Bob and Bill Pugh, manager of Palitoy’s design department, were getting their hands dirty at the biggest toy fair of 1972. “Bill and me, we used to go to the toy fairs and the designers had to dress the stands with the toys and products,” explains Bob. “The team used to go down to Brighton or Earls Court. I can remember Bill, he used to roll up his sleeves, but he couldn’t get Action Man to hold a gun: he had solid hands. And so Bill ended up using some Evostick. By 1973, thanks to Bob, Action Man could grip a flare gun, a canteen, a pineapple grenade, or any number of the pocket-money-scoffing accessories that Bob and his crew churned out. The popularity of ol’ blue pants saw the design team branch out from the military and into the fields of sport and adventure. They called on some local contacts to help out. “I involved Leicester Sub Aqua Club to get all the information on the scuba kit,” says Bob. But then there were dark stirrings across the Atlantic. A young film grad called George Lucas started putting together a screenplay, a sort of cowboys and Indians in space. It was called Star Wars. It was released in 1977 (LucasFilmFox, 121 minutes) and hit Britain’s cinemas in 1978. The kids went potty. Han Solo V Action Man? Action Man can %^&*ing %^&* off. End of. “Star Wars figures began the decline of Action Man’s popularity,” says Bob. “It was Star Wars that really affected things. By 1984, the game was up. Action Man was a wash-out. The Rebellion had won. And so, erm, had The Empire. The last toy rolled off the production line. It was a sorry day, says Bob, who saw the party was over, and shortly afterwards left the business. Action Man was no more. He had ceased to be. Princess Leia, Luke Skywalker, Jabba the Hut, Boba Fett, Darth Vader, Obi-Wan Kenobi – they were all in on it. And Bob, shock horror, was as susceptible to the Dark Side as anyone else, it turns out. Bob dutifully created a Palitoy Death Star made from heavy-duty cardboard. The last to sell at auction went for £6,000. 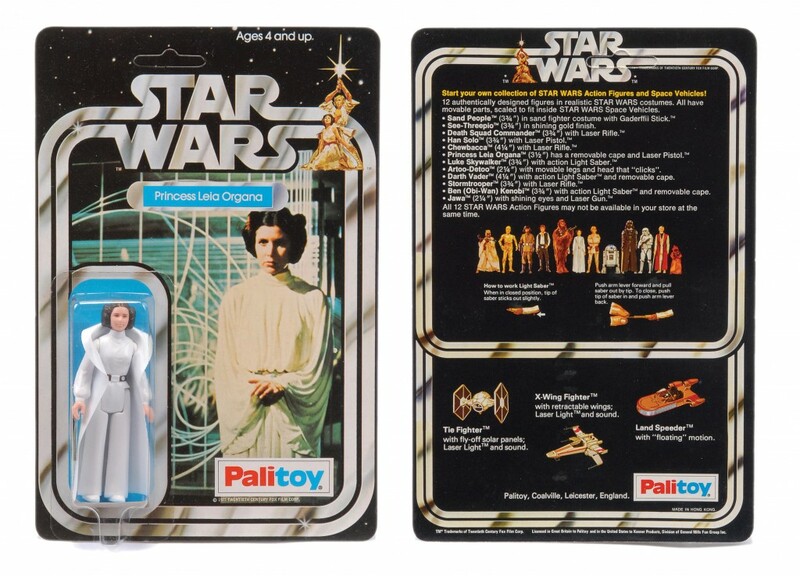 The Star Wars figures were designed by Kenner. “I thought they were brilliant,” Bob admits. A study on the toys found to have made the most impact over the past 50 years was released in February 2015. It was based on the responses Britain’s 100 biggest toy firms. Lego came first, Monopoly second and Action Man third. Which is not bad, is it? In fact, it’s rather good if you’ve still got some of the dolls, clothes and accessories because they’re worth a fortune. The nostalgic calls from collectors started coming in about Action Man in the mid-90s, recalls Bob. He’s always been happy to oblige fans at toy fairs and shindigs. Take a recent auction, says Bob. This is a hybrid of an article I wrote last year and something I wrote this morning to the smell of cake cooking. Fact fans: Palitoy’s foundation began in Leicester in 1919 as the brainchild of former Leicester City chairman Alfred Pallet. Alfred was a teenage entrepreneur. He was the man who gave us the word “Diddums” – it was the name of the UK’s first plastic doll in 1925. 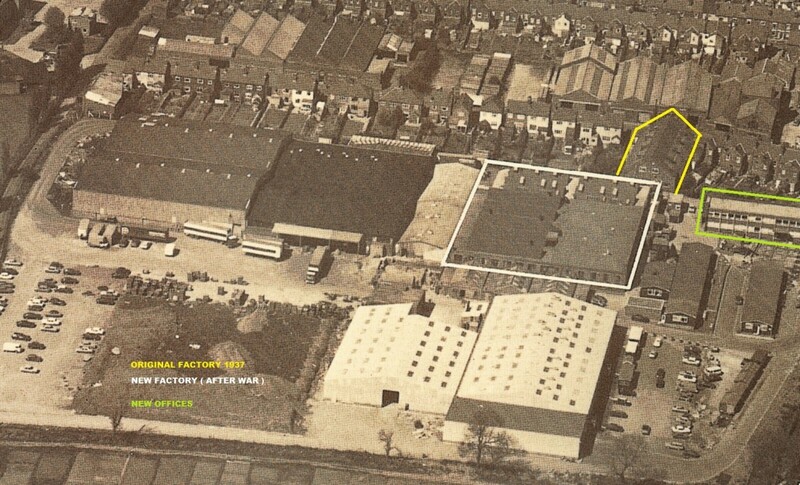 It was made right here in Leicester.